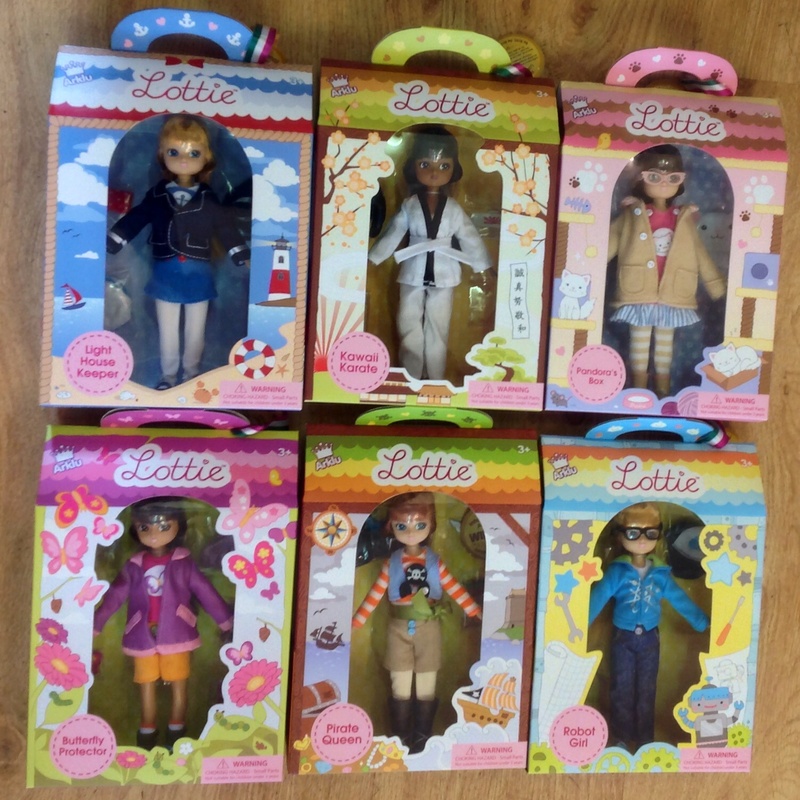 New Lottie’s have arrived! We have Pirate Queen based on the real life Irish pirate queen, Grace O’Mally, Grace or Grainne Ni Mhaille, to give her her Irish name, was born in 1530 when Henry the VIII was king. She was the daughter of the Clan chief, and when he died she inherited his shipping business, and was sometimes accused of Piracy. Robot Girl, is inspired by Ada Lovelace, the Enchantress of Numbers. Ada was the daughter of romantic Poet Lord Byron, and had a lifelong love of science and numbers, producing her first flying machine designs in 1828. Pandoras Box Lottie is a volunteer at the animal rescue centre, one day she finds a cardboard box with a scared and hungry Persian cat inside. Lottie takes care of her and nurses her back to health. She names her new friend Pandora. Kawaii Karate Lottie trains hard to master her technique as well as the Dojo Kun, the 5 Karate training rules. She realises that karate is a way of life. It means respecting yourself, trying to be a better person and never giving up. Butterfly Collector Lottie volunteers in The English Country Garden, she plants, waters, digs and cares for the plants and creatures, she is especially interested in the Butterflies and their life cycle. Light House Keeper Lottie explores the local light house on its open day and finds out about how lighthouses help to save ships and lives. She learns about the history of the brave men and women through history, who looked after the light and kept the ships safe.